Some people argue that the Lamborghini Veneno Roadster is all about looks, all about aesthetics. This video highlights how Lambo’s beloved supercar performs on the track. 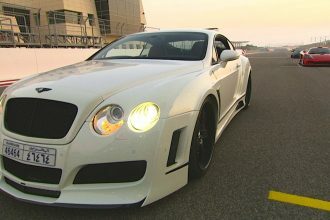 It can go from zero to 62 mph in 2.9 seconds and has a top speed of 221 mph. The Veneno Roadster is actually a limited version of the Lamborghini Veneno and was produced to commemorate the 50th anniversary of Automobili Lamborghini. 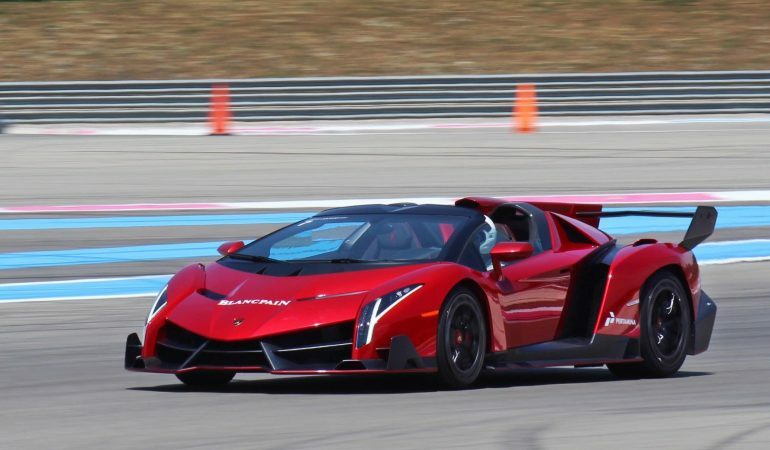 As the second most expensive car in the world, it comes with exclusive alloy wheels, woven carbon-fiber exterior, Rosso Veneno body color, carbon skin interior trim and two bucket seats made in forged composite.